Education Game News. Daily Chemical Compounds. P42 Release date 15.08.2015 year. On focus a new Planeta 42 game in chemistry category. 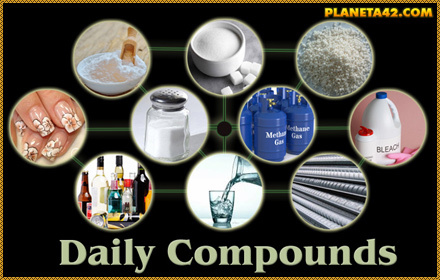 Daily Chemical Compounds is an interactive knowledge board, about some of the most usable substances in every day live and their chemical compound. Place the elements in the empty sockets.